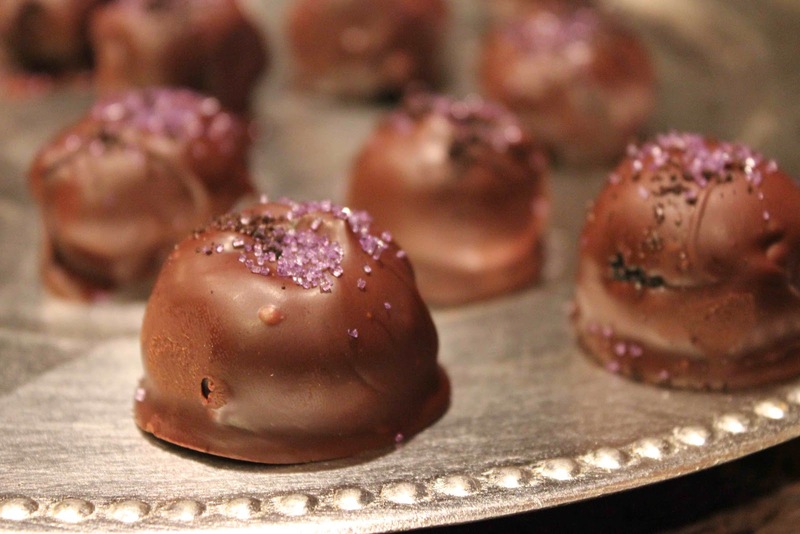 Who doesn’t love truffles during the holidays? Last year I made the oh so popular White Chocolate Oreo Truffles that were eaten in a matter of days. They are actually pretty healthy…the filling was comprised of instant chocolate Jell-O pudding, Oreos and skim milk (the healthy part), while the outside was a white chocolate candy coating drizzled in semisweet chocolate. Why change something that’s already so good? If you know me well, you know that I love trying NEW recipes, so while I loved the above white chocolate Oreo truffles, I was ready to give Brown Eyed Baker’s Oreo Cheesecake Truffles a try! 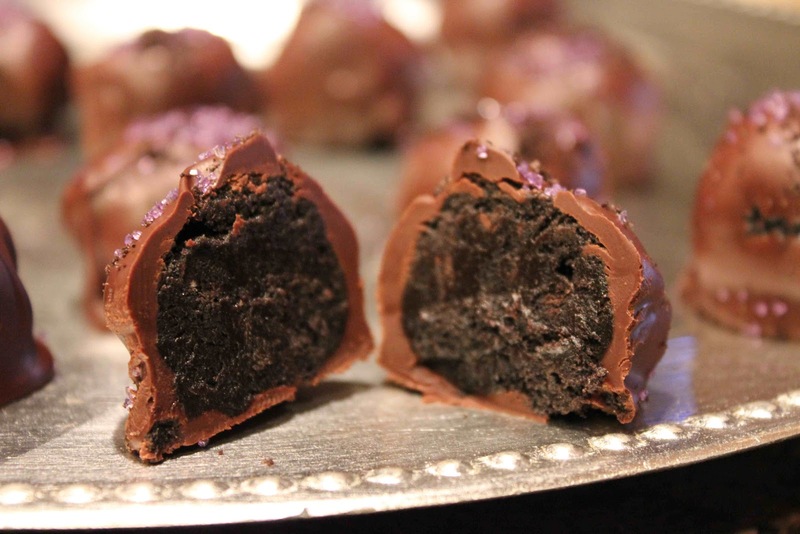 The name “cheesecake” ought to give the ingredient list away in these truffles. The filling is comprised of just two ingredients: Oreos and cream cheese, while the outside is melted semisweet chocolate, sprinkles and crushed Oreos. The truffles were very tasty, but also very rich due to the cream cheese filling. I’m a white chocolate person, so next time I make these I’ll probably use the white instead of semisweet chocolate. Matt also like these, so they pass the husband test. Enjoy the Christmas season of baking and eating sweets, try not to gain too much weight, and let me know what you think of these! In a stand mixer, add cream cheese and mix until thoroughly combined. Roll into balls, about 2 teaspoons in size. Dip in chocolate and garnish with sprinkles and crushed Oreos. 1. 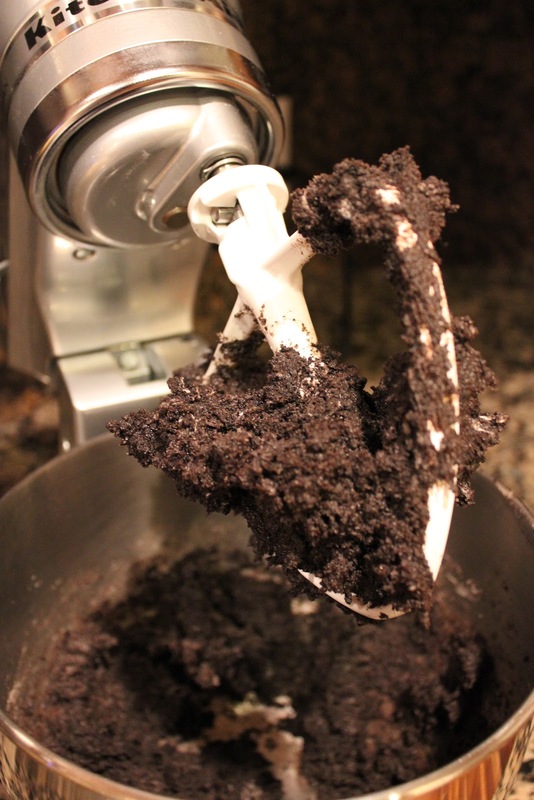 Crush the Oreos until finely ground. A food processor does the best job, but if you don’t have one, throw the cookies in a ziplock bag and crush them using a rolling pin. 2. Transfer 3 cups of the Oreo crumbs to a bowl and add the cream cheese. In a stand mixer, beat until cream cheese is completely mixed into the Oreo crumbs and you have a soft, homogenous mixture. 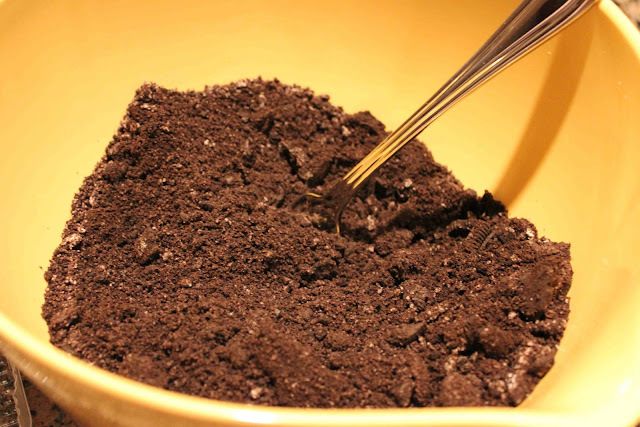 Using a small cookie scoop (or the equivalent of 2 teaspoons), scoop/roll balls of the Oreo/cream cheese mixture and place on wax paper-lined baking sheet. Once you have scooped out all of the filling, refrigerate the baking sheet for at least 30 minutes, until firm. 3. In a small bowl, microwave the chocolate chips and shortening in 30 second increments at 50% power, stirring after each, until completely melted and smooth. 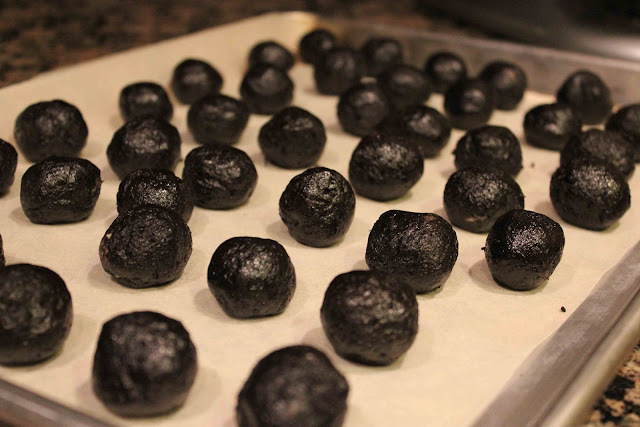 Working with one Oreo ball at a time, dip it into the melted chocolate, roll it around to cover completely, then use a fork to remove it from the chocolate, letting an excess drip off. Place the dipped truffle back on the wax paper-lined sheet. Repeat with all truffles; once finished, return the baking sheet to the refrigerator for another 30 minutes. 4. 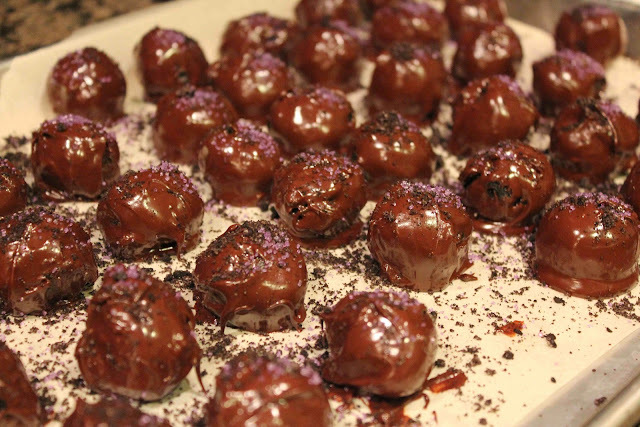 Serve the truffles, or garnish with sprinkles and leftover crushed Oreos. Store in an airtight container in the refrigerator for up to 2 weeks.